Deep in the mountains of Takayama, visitors can partake in the traditional craft of paper-making. 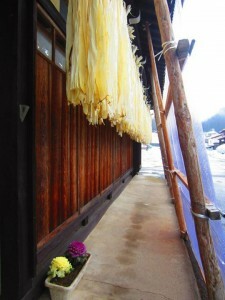 The process of making paper from natural materials begins long before arriving. Long strands are taken from reed plants, flattened, and laid out on the snow to be bleached by the sun. 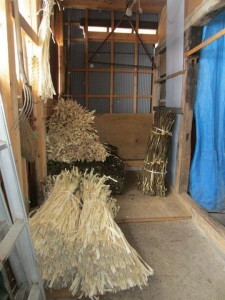 The dried, white woody material is then combined with a natural “glue” made of the root of the same plant, and mixed with water in a giant tub. The paper-maker then presses and mixes this material for a long while, using traditional tools that remove contaminants from the pulp, water, and glue mixture. In the studio, the paper material is placed in large tubs. A frame with wire netting is used to collect the mixture to make the paper. The frame must be tilted lightly from side to side to remove liquid without disturbing the solid bits that make up the paper. Once the frame is filled, it is taken over to a flat surface in order to let the water drain. At this point, flowers, leaves, and other decorative elements can be added with a fresh layer of “glue” to prevent them from falling out. Although many flowers and leaves can be added during the process, simple is best. The next step is using a vacuum to remove all excess liquid and solidify the paper. This step was traditionally done by leaving the frame to air-dry. Nowadays, modern technology speeds up the process considerably. The final step involves removing the damp sheet carefully from the wire frame and placing it on a heated surface to remove the remaining moisture. 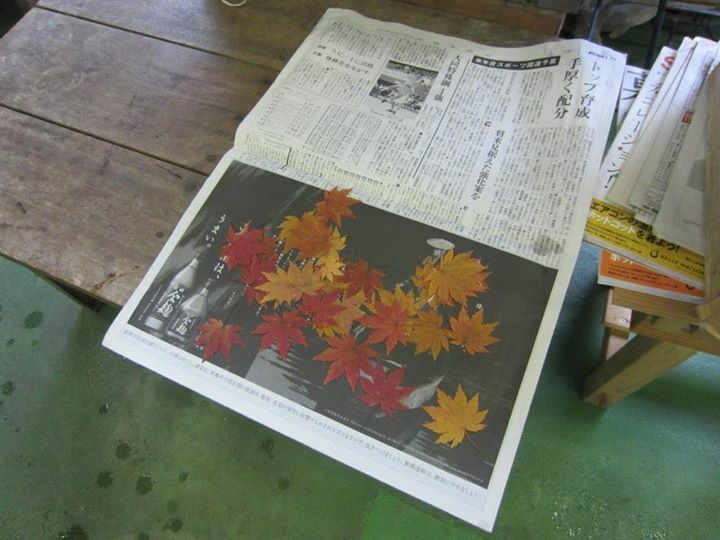 The paper is essentially baked through the process and removed carefully when fully dried. After all is said and done, a beautifully crafted piece of paper awaits. It can be used to write on or for a variety of decorative purposes. Framed nicely, the paper looks beautiful on its own as a wall hanging. Another simple use is as a place mat for a vase or other decorative object. 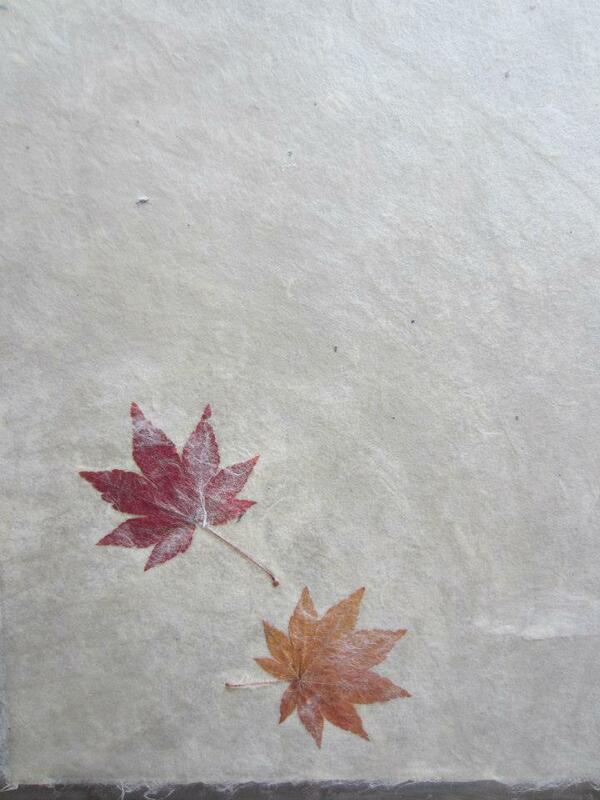 However one chooses to display the final product, the craft of paper-making is an enjoyable aspect in itself. Why don’t you give it a try?